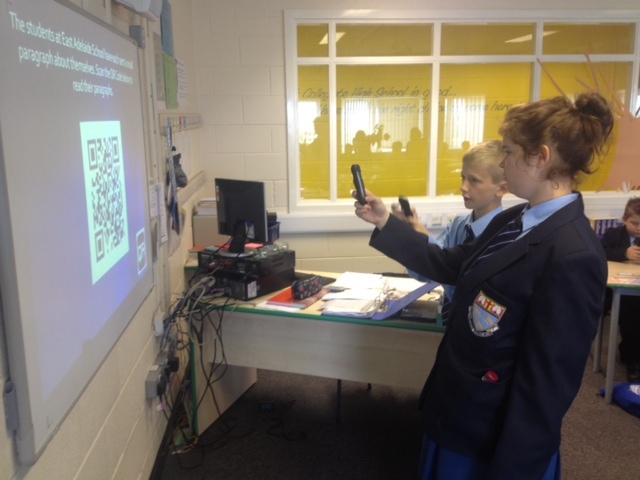 Today students had their first iPod lesson connecting to a school in Australia. If they have their username and password they can login from home using the website https://www.schoology.com . On Monday students will receive the spellings for their spelling test which will take place on Friday next week. They spelling list will also be posted on this blog. Students have also had a tour of the school today. We hope their first week has gone well. Well done to everyone for getting 100% atttendance for the year group. If there are any problems please do contact us on 01253 3004600 or 07854174834 or send us a message via Facebook / Twitter. This entry was posted on September 7, 2012 at 2:55 pm and is filed under Year 7. You can follow any responses to this entry through the RSS 2.0 feed. You can leave a response, or trackback from your own site. I really enjoyed the first couple of days at collegiate because we had french,English and Maths today. French was really good because we had Miss Corns.